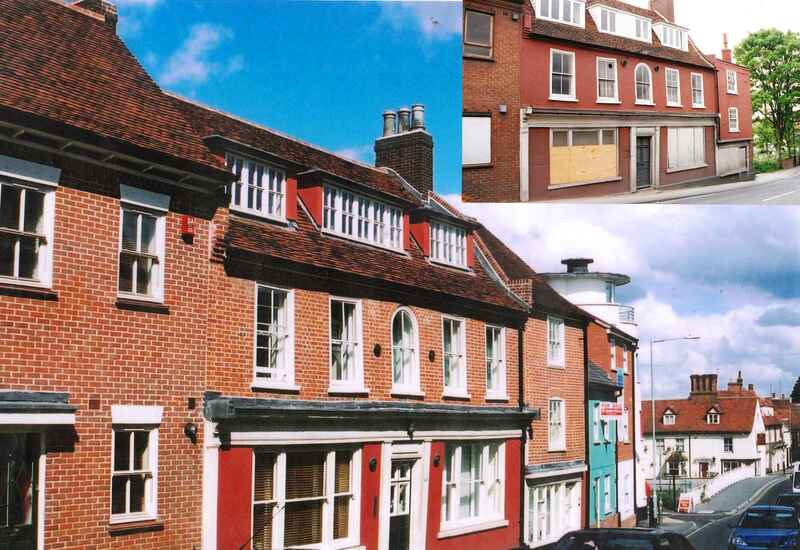 Next to the River Chelmer, at the bottom of Market Hill in the market town of Maldon, this award-winning residential development has nine new and nine refurbished dwellings, some of which are Listed Grade II.This design won a Certificate of Commendation in the Maldon Conservation Design Awards 2003. 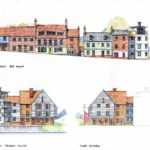 The site is in Maldon’s Conservation Area, so the existing properties needed to be retained, and new dwellings need to be sympathetically added to enhance the area, rather than spoil it. 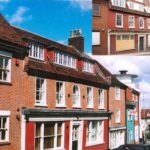 So, the existing properties were refurbished to provide a selection of flats and town houses, and retained much of the existing character of the properties. 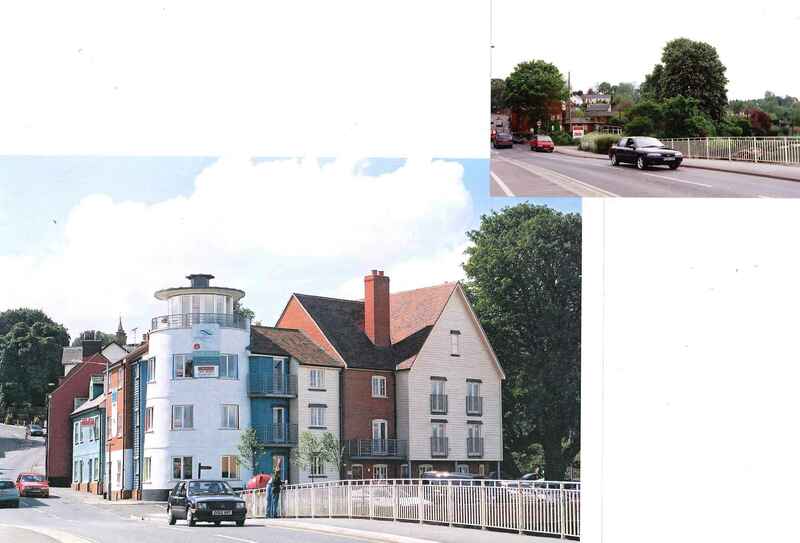 The new-build part of the development is on the waterfront. 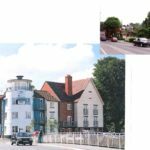 There are three flats in the corner ‘lighthouse’ building, including a studio on the third floor. 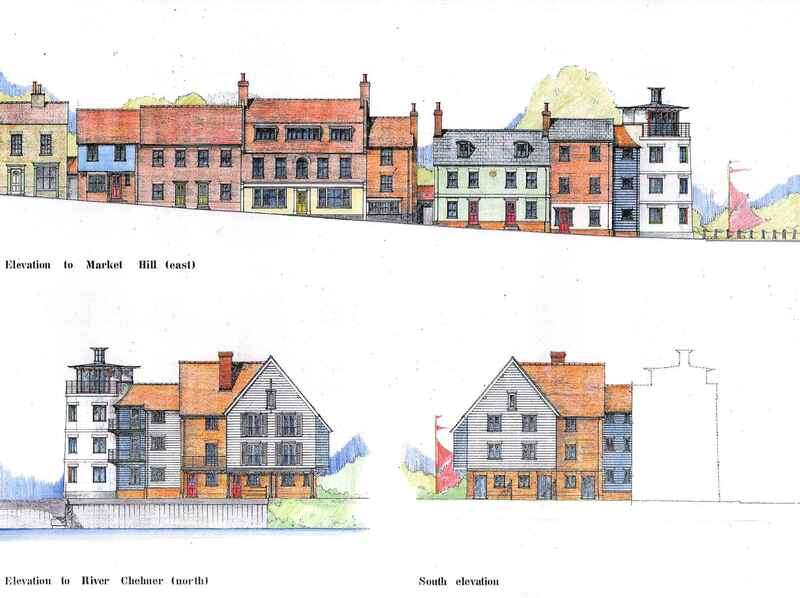 Three town houses face the waterfront, and the remainder of the properties are found at the rear of the site.